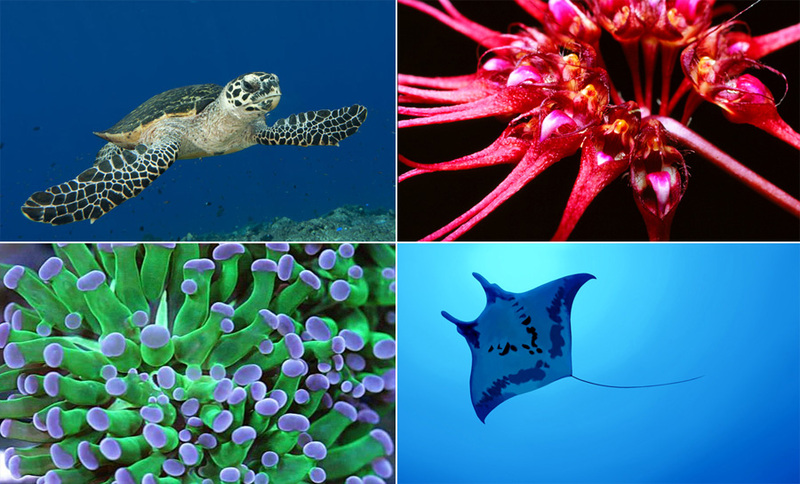 Apia/Geneva, 6 April 2016: Over 35,000 species of wild animals and plants are covered under the Convention on International Trade in Endangered Species of Wild Fauna and Flora (CITES), including species that migrate or reside within the Pacific islands region such as all whales and dolphins, marine turtles, corals, several sharks, manta rays and orchids. CITES is an international agreement between 182 Contracting Parties and it seeks to ensure that international trade in specimens of wild animals and plants does not threaten their survival. Among the 182 State Parties to CITES, eight are from Oceania: Australia, Fiji, New Zealand, Palau, Papua New Guinea, Samoa, Solomon Island and Vanuatu. 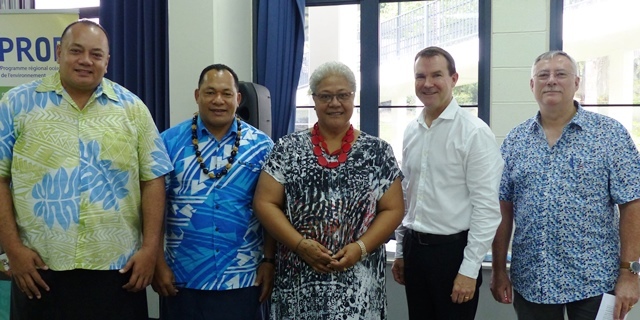 This week the CITES Secretary General, Mr. John E. Scanlon, is in Samoa and is being hosted by the Secretariat of the Pacific Regional Environment Programme (SPREP). He will be participating in a range of events and meetings with SPREP and partners in an effort to bring about stronger representation of the Pacific island region in CITES and to further support implementation. “Over the next two days we will be exploring avenues to enhance active membership from more Pacific island countries to this very significant Convention that has a positive impact on both wildlife conservation and sustainable livelihoods in the Pacific region. One of the earliest decisions by CITES was the suspension of trade in Hawksbill turtle shells, without which the population of hawksbills would be in far poorer shape than it is now,” said Mr Kosi Latu, Director General of SPREP. “CITES is a dynamic Convention that has been described as standing at the intersection between trade, the environment and development. It is helping to guide us along the path towards sustainability, with many more marine and timber species being brought under CITES trade controls. Following recent UN resolutions, we are encouraging active participation of all Pacific States in CITES processes and offering our ongoing implementation support” said Mr John E. Scanlon, CITES Secretary-General. The Pacific island countries trade in a range of CITES-listed species, including crocodiles, giant clams (for meat, shells and live aquarium specimens), corals and coral products, butterflies, birds of paradise, parrots, tree ferns, cycads and bigleaf mahogany from plantations. With more marine and timber species being included on the CITES Appendices, it has become an increasingly important tool for the region to manage and trade its precious wildlife sustainably and legally. ”We are actively promoting participation in CITES by our Pacific island members. Fiji is already playing a leadership role in CITES and SPREP will be encouraging our region to add other species from the Pacific islands in the future and to utilise the convention as an important platform to protect threatened species,” said Ms. Juney Ward, the Shark and Ray Conservation Officer at SPREP. The Government of Fiji has proposed the inclusion of nine species of Mobula rays in the Appendix II of CITES at the upcoming 17th Conference of the Parties to CITES (CoP17) in September 2016. Samoa is a co-sponsor of this proposal. Mobula rays are slow-growing and highly migratory animals that are distributed sparsely across the tropical and temperate oceans; they have been overexploited for their gill plates which are used for medicinal and health purposes in the Asian region. In July 2015, the UN General Assembly unanimously adopted a resolution on ‘Tackling illicit trafficking in wildlife’ in which it urged UN Member States that are not yet a Party to CITES to consider taking measures to ratify to accede to the Conventionand called upon States Parties to take appropriate measures to ensure the full and effective implementation of their obligations under the Convention. There are currently six UN Member States in the Pacific that are not yet Parties to CITES. “We offer our support and that of our many partners to Pacific States to assist them in joining CITES and in fully and effectively implementing the Convention,” concluded Director General Latu and Secretary General Scanlon. SPREP delivers its strategic priorities through policy and technical support to island members, providing provide direct national level support while building technical capacity and relevant common approaches through regional collaborative efforts.